The movie isn’t just becoming a box-office hit, but is the best-reviewed movie of all time on Rotten Tomatoes. Greta Gerwig has gone from one of indie film’s most sought-after actresses to now being one of its rising directors. Her first solo directing effort, “Lady Bird,” has become the end-of-year FOMO movie thanks to its award season hopes (it received four Golden Globe nominations on Monday), and status as the best-reviewed movie ever on Rotten Tomatoes (at the time of writing it had an astounding 195 “fresh” reviews). What has wowed audiences about “Lady Bird” (currently playing in theatres) is its authentic feel focused on coming-of-age and family. These are two things that almost any audience member can relate to. Gerwig, who in the early 2000s became the face of the mumblecore genre with her captivating acting talent, also got her own ideas to the screen through writing (a highlight was Noah Baumbach’s 2012 film “Frances Ha”), and codirecting “Nights and Weekends” in 2008 with Joe Swanberg. “Lady Bird” is a culmination of the work she’s absorbed in front of and behind the camera throughout her career. 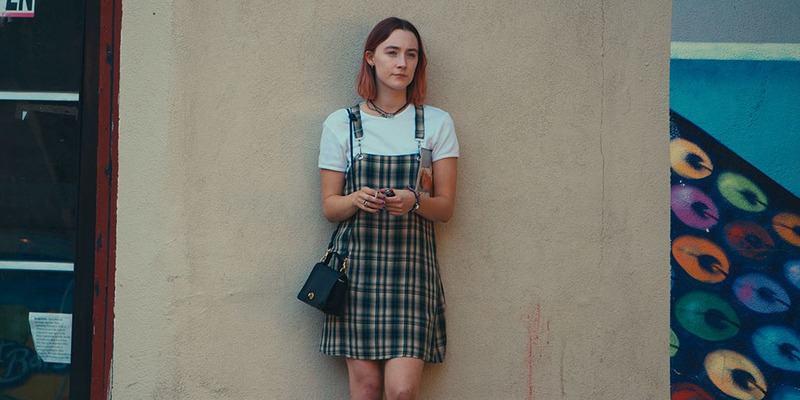 A semi-autobiographical look at her youth growing up in Sacramento, California, the movie revolves around the senior year of Christine “Lady Bird” McPherson (beautifully acted by Saoirse Ronan). Literally living on the wrong side of the tracks, Lady Bird is seeking more than what her current circumstances offer. She wants to live in a better part of town, she wants to lose her virginity to a hot guy, and she wants to go to a college on the East Coast. The latter is the hardest because of her family’s financial situation. Already struggling to pay the bills, things get worse when her dad (Tracy Letts) gets laid off. This puts even more pressure on her mum (Laurie Metcalf) to do it all. A24The core of ‘Lady Bird’ is the mother-daughter relationship. 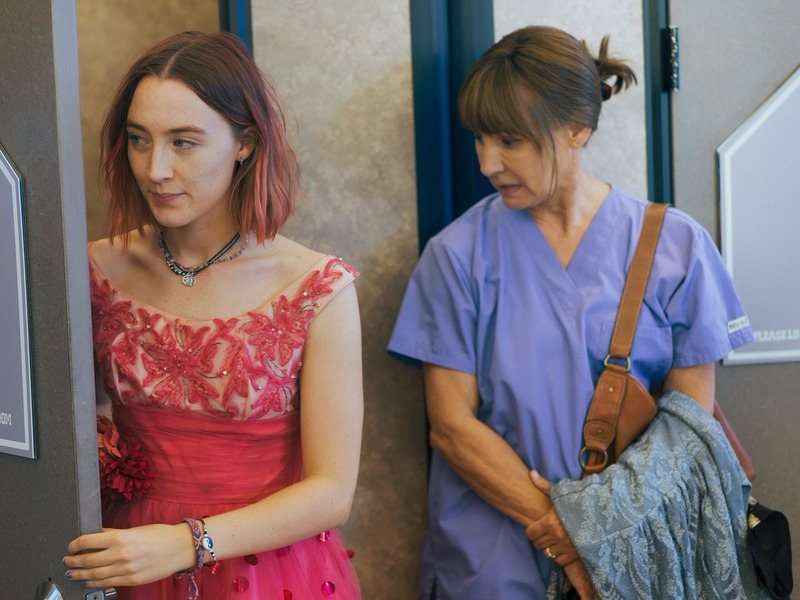 Lady Bird is basically Andie in “Pretty in Pink,” but she’s got a lot more guts and doesn’t give a damn what people think about her. The center of Gerwig’s story is the relationship between Lady Bird and her mother, which is constantly hot and cold. Conversations with them can jump from happiness to cutthroat hatred in the blink of an eye (or vice versa). It’s watching this emotional relationship that leads to the movie’s powerful ending. The movie’s 94-minute running time flies by because Gerwig’s pacing is at lightspeed. With jump cuts and brief scenes, Gerwig plows through the story, and with a lot of the fat trimmed, when a meaty scene comes up, it pays off because there is importance to it. These scenes can come in the form of a mother-daughter (or father) chat; Lady Bird navigating her relationship with best friend, Julie (Beanie Feldstein); or exploring love or lack thereof with a boyfriend (Lucas Heges followed by Timothée Chalamet). Though Gerwig’s talents as a writer-director shine, it’s the casting of Ronan in the lead that makes “Lady Bird” such a memorable work. The layers she gives the character will make the performance go down as one of the best high school characters ever. The movie is one of the best teen movies I’ve seen in a long time, you should really find time to see it.